For this package we wanted to evoke classic Americana. Basically American Gothic meets the Ross Flag. Not familiar with the term, Ross Flag? Well, don’t feel bad, up until a few minutes ago, neither were we! I just said, ‘what’s that version of the flag with the stars in a circle?’ The google told us it’s called the Ross Flag and it’s from the era of the American Revolution. Design freaks = Yes. History freaks = Ummm, Aspiring (-ish). 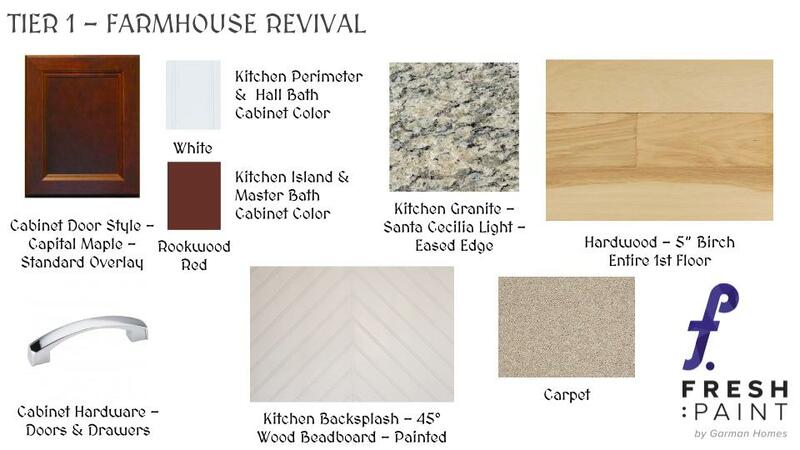 This package started with an iconic barn red island contrasted with crisp white perimeter cabinets. Beadboard gets reinterpreted as a backsplash- cut on a 45 degree angle – to offer great texture and design. 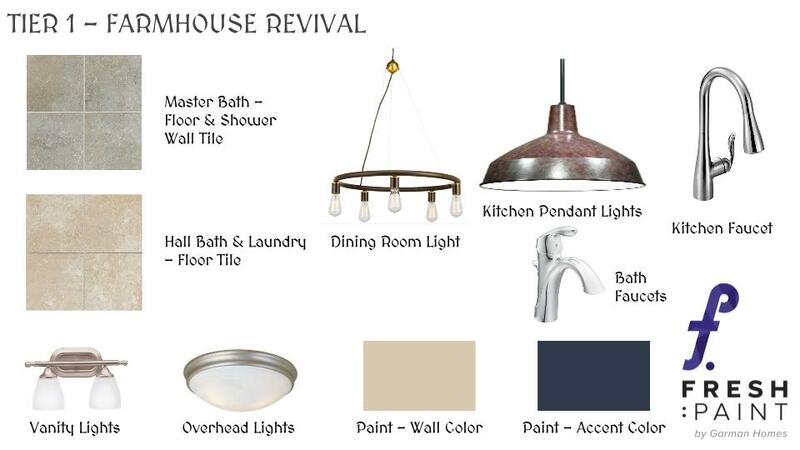 Navy accent walls add richness while wide plank honey colored floors brighten and balance. GOOD NEWS…if you heart this package as much as we do, you’re in luck. 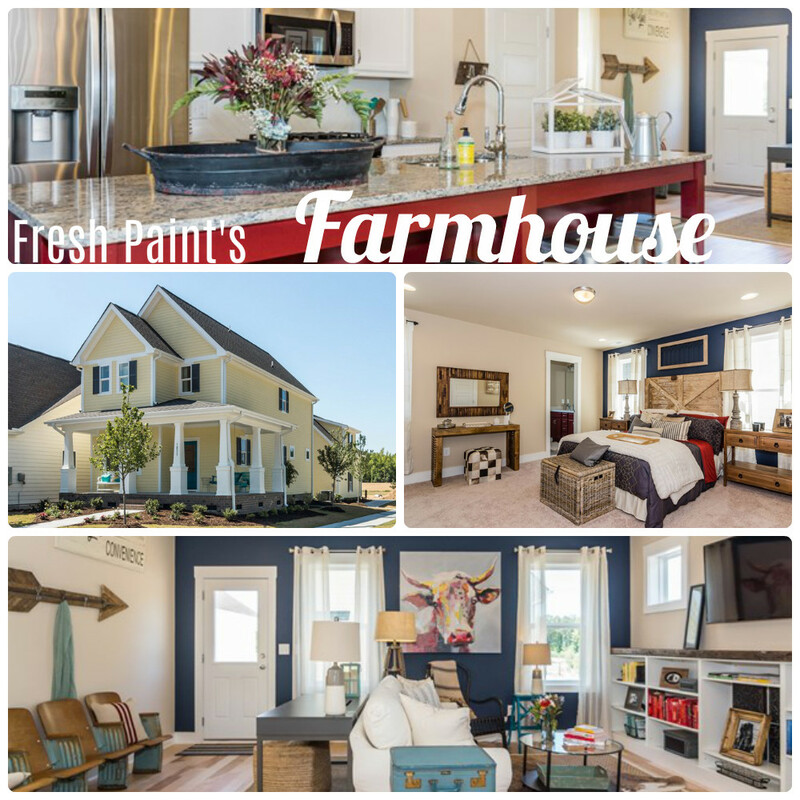 Farmhouse Revival is a Tier 1 package. That means it’s included in the base price of the home.